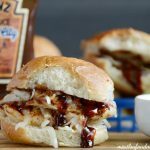 Make Easy Crock-Pot Shredded Chicken in the slow cooker and you can use it in so many different recipes. It’s a real time saver on busy days! Winner, winner chicken dinner! 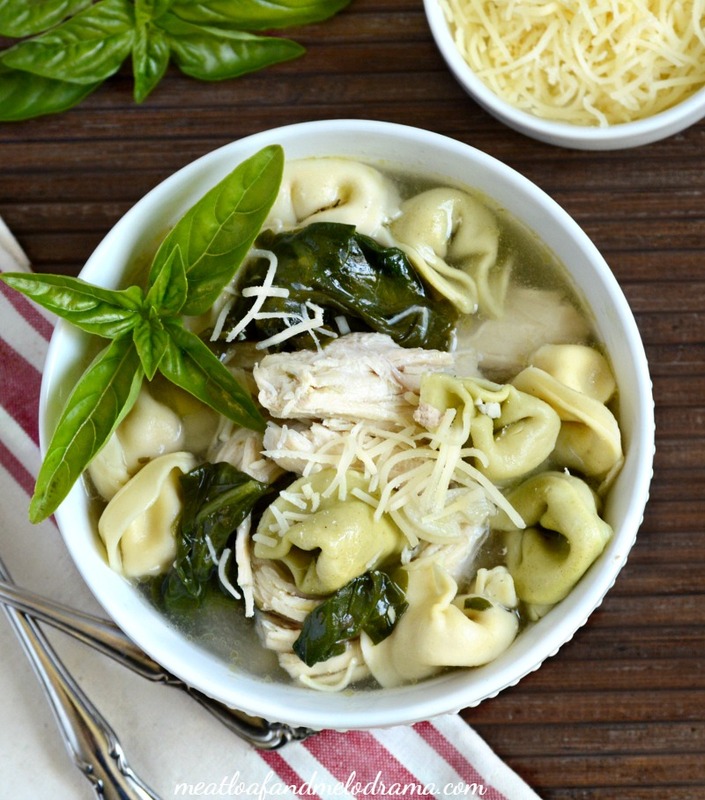 In my house, chicken is on the menu a few times a week, both in its original form and again as leftovers. In fact, sometimes, I’ll make it for dinner one night In just so that I can repurpose it into a new dish later on. And if I’m having a rushed day, and I’m short on time, I can usually stop by the store and get a couple of rotisserie chickens — You can do just about anything with those! The only problem is that the chickens aren’t always ready when I need them, and sometimes the store is already out of them. I think I told you before that I don’t always plan ahead! 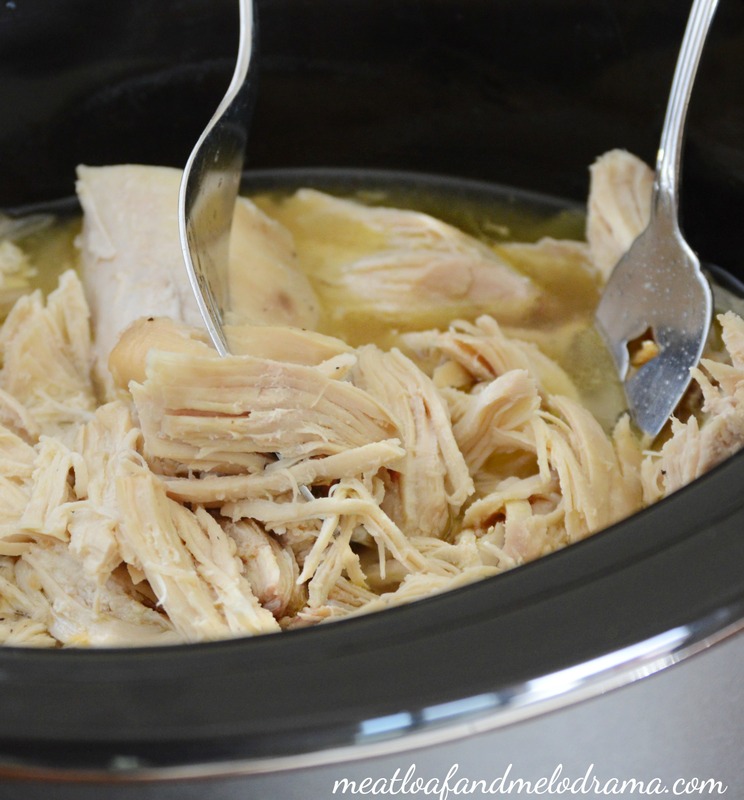 So, I started making shredded chicken in the Crock-Pot. It’s so easy, and I can get other things done while the meat is cooking. 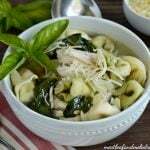 Or, I can even cook something entirely different for supper that night while the slow cooker is busy making dinner for another day. And this is what still confuses my kids. They don’t get the point of cooking two dinners at once, but hey, maybe someday they will! Whenever there’s a sale on fresh chicken breasts, we stock up and freeze what we can. Then, I can just pop some in the Crock-Pot and forget about it! I keep the seasonings pretty simple so that I can add additional spices the next time around. Mostly, I just add onions, garlic, sea salt, pepper and a little olive oil. 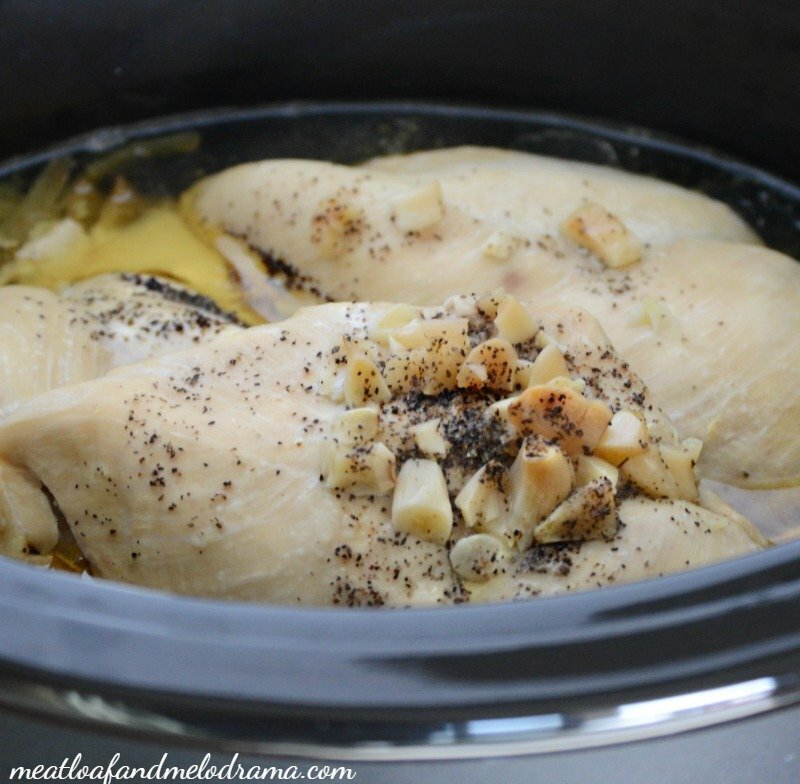 If the chicken is frozen, it cooks in about four to six hours. If it’s fresh, it’s done even faster. Then, I just shred the meat while it’s still warm, and put it away for another day. Or sometimes, I’ll use part of the meat that day and save the rest — whatever works! 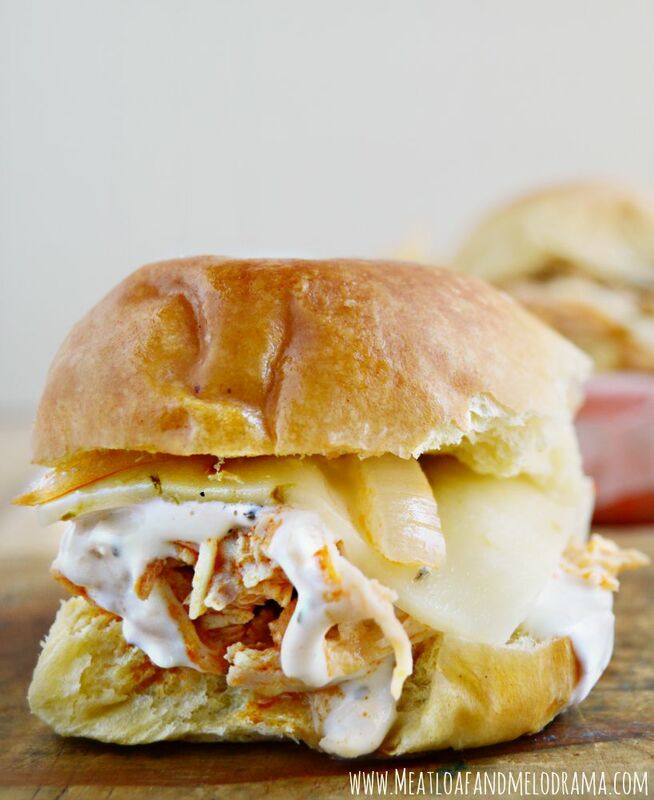 And, here are some ways that I use the shredded chicken. 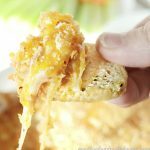 When I make Buffalo chicken, I’ll sometimes save some to make Buffalo Chicken Dip. 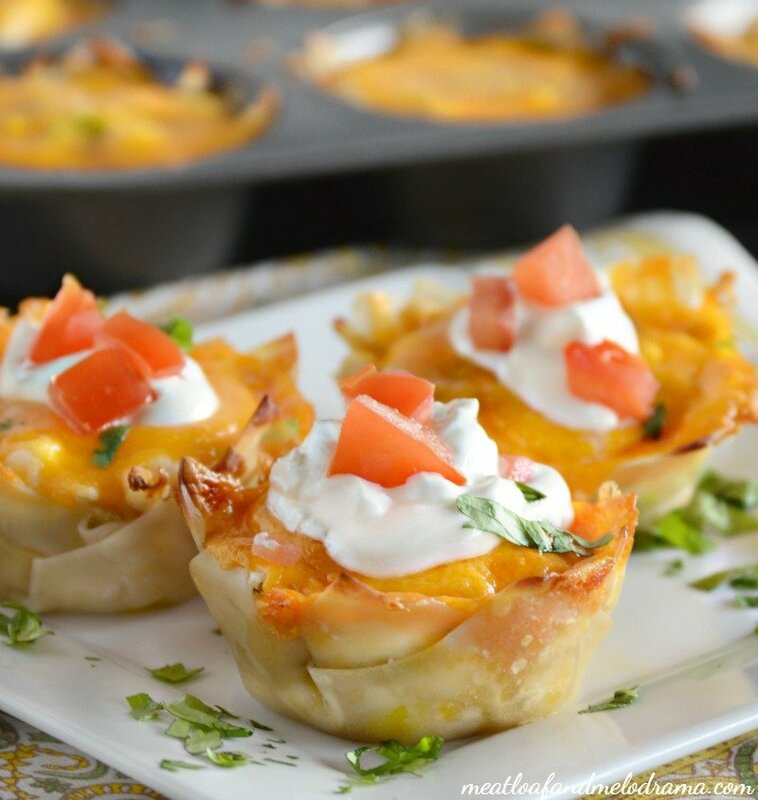 This is an awesome dish for game day! I also use the meat for enchiladas, tacos, salads, casseroles and lots of other meals. 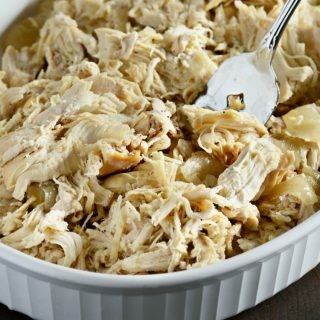 Do you ever cook shredded chicken in the slow cooker? Such a great idea! Chicken is always on the menu at my house so I will have to keep this in mind. Pinned and tweeted! 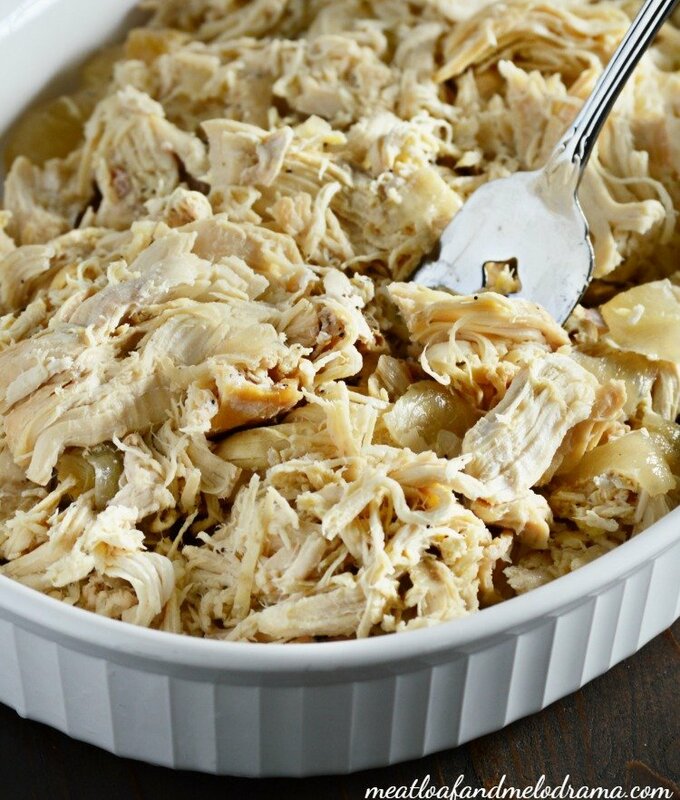 Your Easy Crock Pot Shredded Chicken opens the door to so many ideas for great recipes. 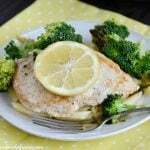 Thanks so much for sharing with Full Plate Thursday and have a great day!